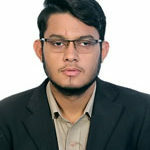 Muhammad Ahsan is working as a DIY Projects Content Writer in Electronics lovers. Click on OUR TEAM tab if you really want to read his Profile. What is Capacitor & How are Electrolytic Capacitors Formed?